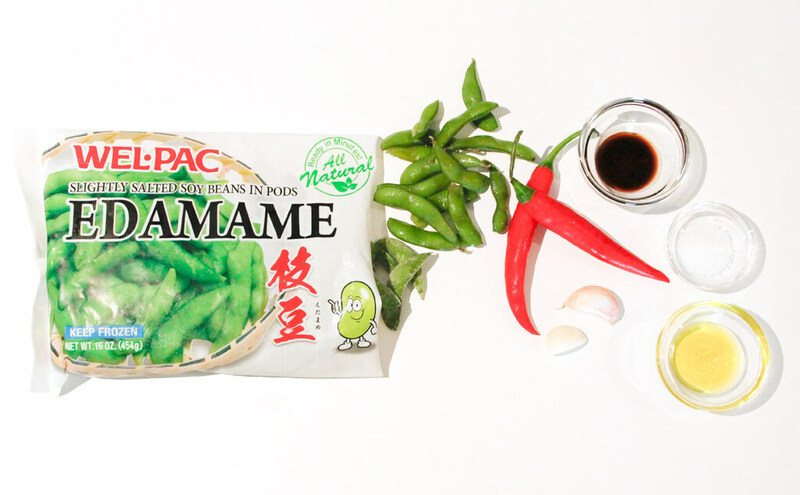 Boil the Edamame (still in the pod) for 3 minutes. Drain well. Place oil, garlic and red chili in a large frying pan over medium heat and saute until the garlic starts to become aromatic. 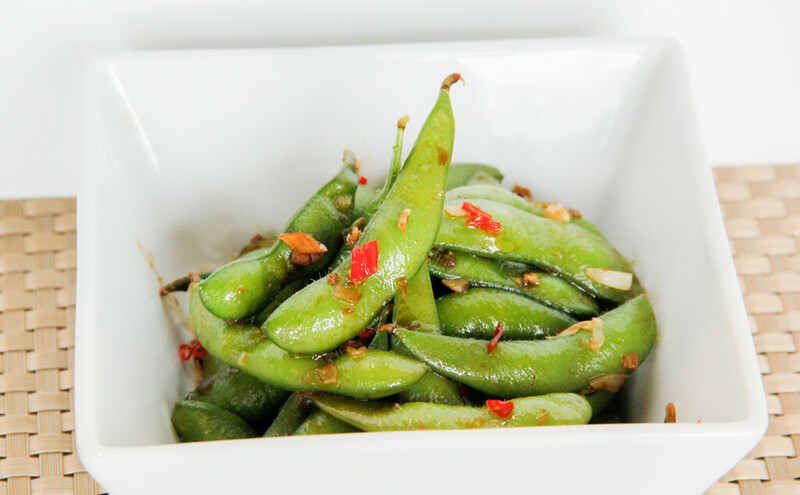 Add the edamame and mix well over medium-high heat for 2 minutes. Add soy sauce and salt into the pan and toss to combine seasonings. Serve hot.